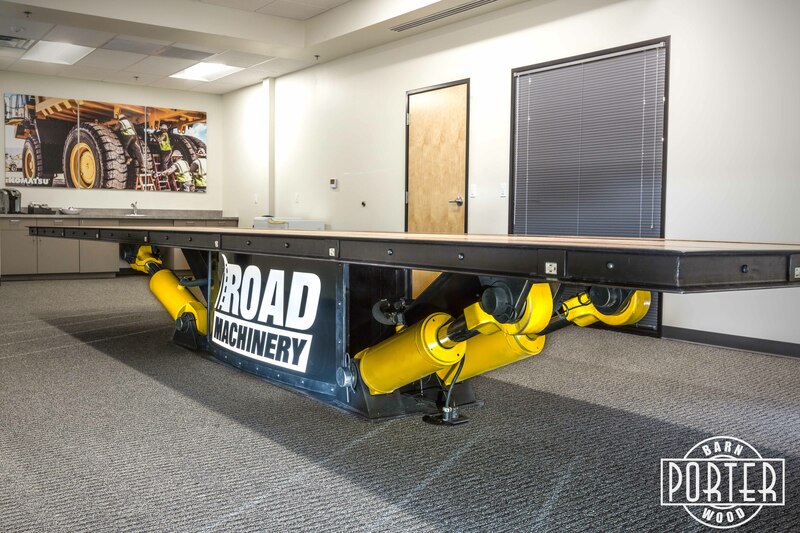 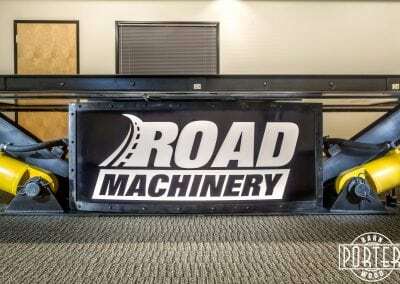 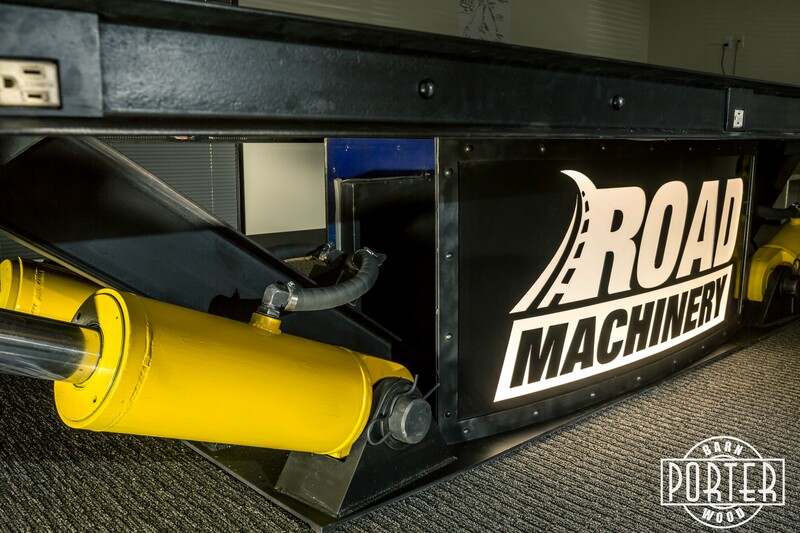 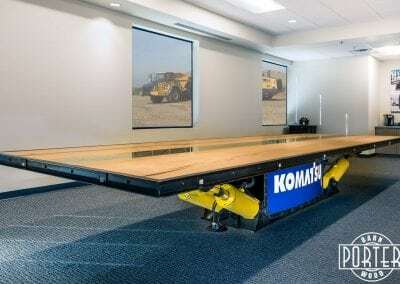 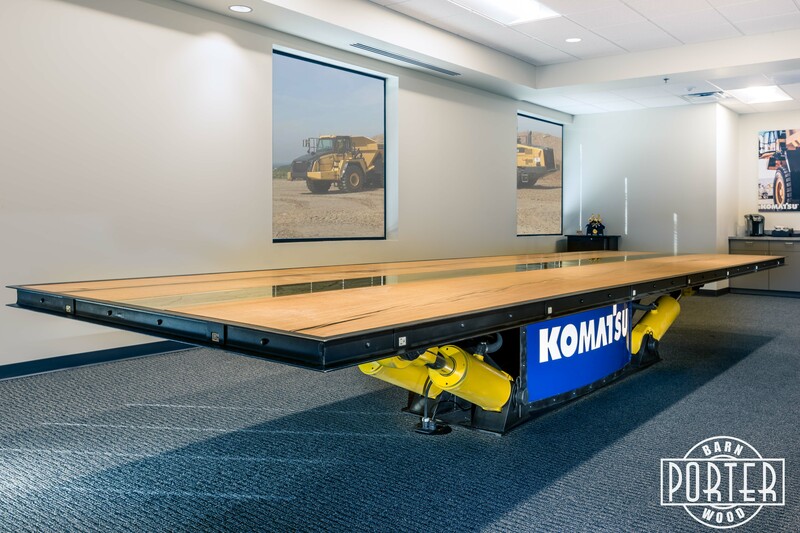 Road Machinery asked us to create a very large conference table for their new space. 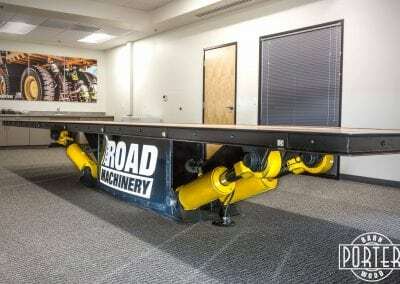 They wanted to incorporate parts from their operation. 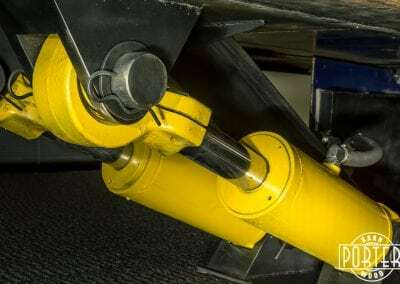 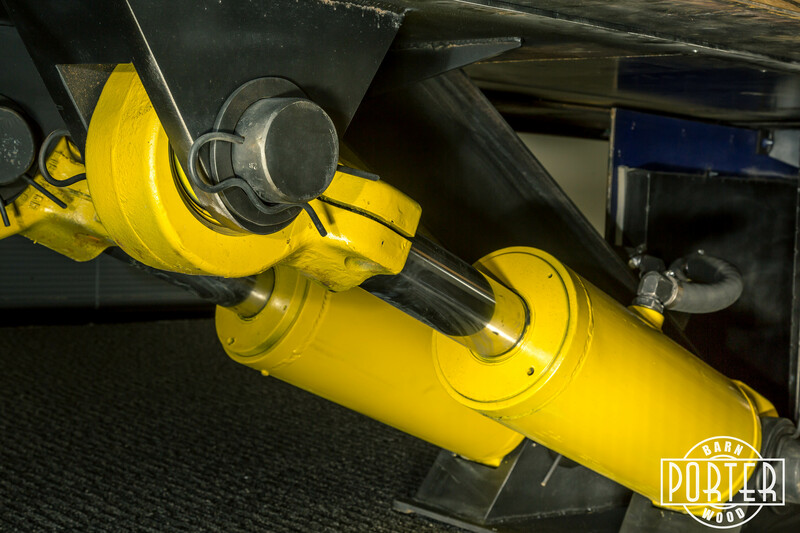 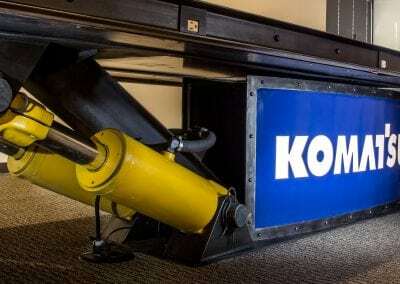 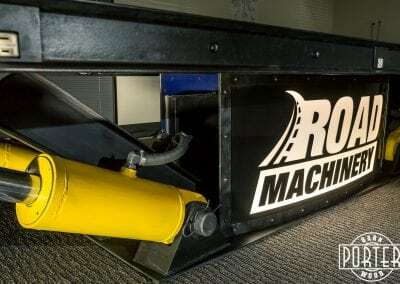 We modified some hydraulics to fit and used their logo and Komatsu’s logo to make up the base as well as support plates and i-beams. 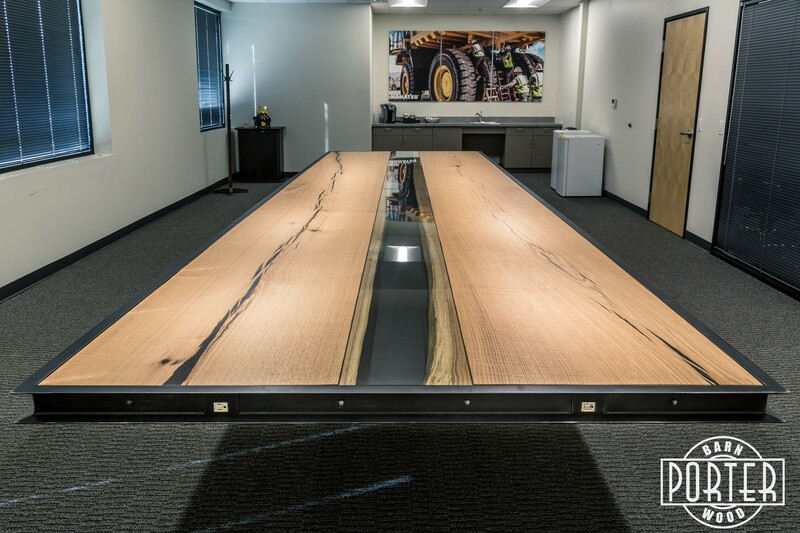 This 5′ x 20′ table has two 20′ single piece live edge oak slabs facing each other with a glass divider. 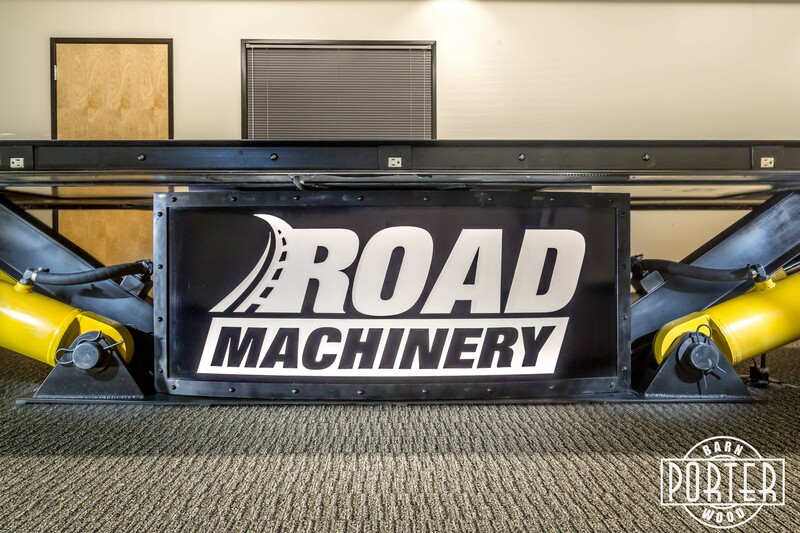 There is integrated power around the entire table and backlit LED signage beneath complete with remotes. 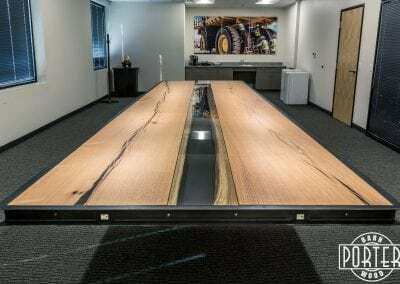 The table weighs over a ton and was fabricated by our steel shop at Porter Iron Works.